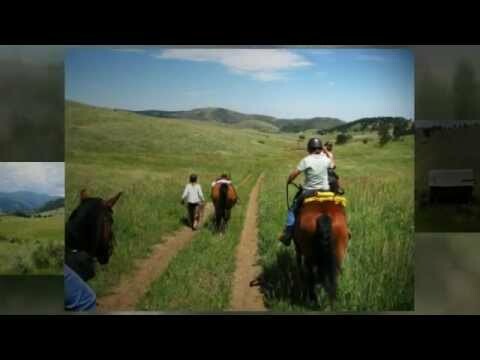 Trail Ride: Centennial Cone, Jefferson County Open Space Park. Near: North Evergreen, Golden, Lookout Mountain. 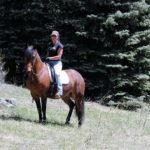 Website: jeffco.us/openspace/openspace_T56_R95.htm See “Use Schedule” here for hikers/horses & bikers. Address & Map Link: North Access with horse trailer parking at 4306 Camino Perdido, Golden. 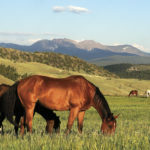 If you are coming from near downtown Golden, Golden Gate Canyon Road may be the best route. If you are along the I-70 corridor, Hwy 6 to Co 119 to Douglas Mountain Road is the closest access. Notes: Beautiful long loop. Took us 4.5 hours walking 60%, trotting 40%. In 2014 we walked the entire time and it took us 5 hours. Gentle hills up and down as you circle the cone. Fairly technical in parts. 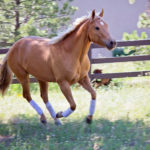 Boots or shoes are a good idea for the horses. Alternate use schedule on website for hikers and bikers if you want to avoid bikes just check the use schedule at the website. With the narrow trail on the side of a hill, avoiding bikes is recommended. Bring water!! !